Former India captain Sourav Ganguly was present at the stamp's unveiling. 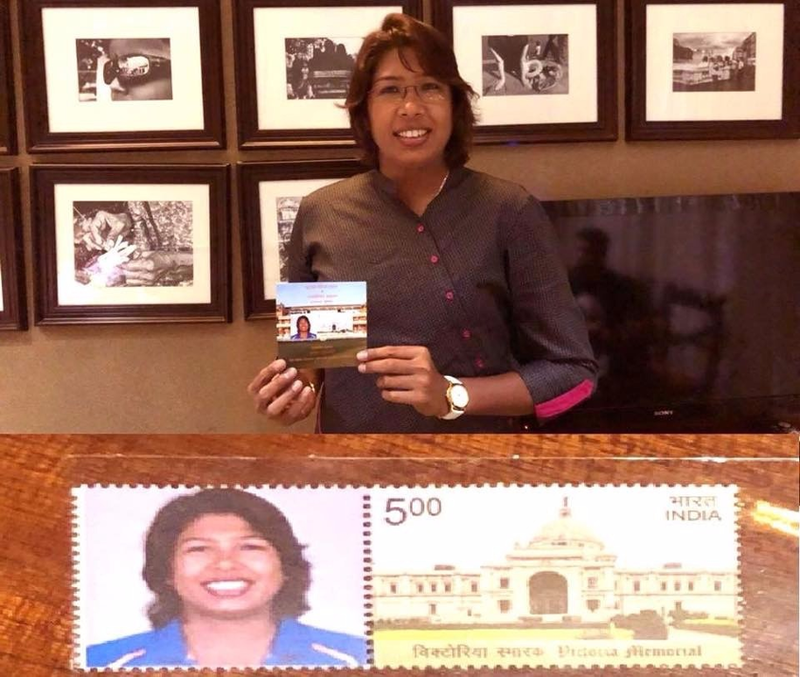 Jhulan Goswami, the all-time record wicket-taker in Women’s ODIs, has had a postage stamp issued in her honour. Former India captain Sourav Ganguly was present at the unveiling on Friday 20 April at the Calcutta Sports Journalists' Club. A postage stamp is in many ways the ideal way to commemorate Goswami’s stellar career; a metronomic seamer with the ability to land it on a postage stamp, she has always delivered for India in a 16-year career which has seen her take 203 wickets from 169 one-day internationals. The 35-year-old recently picked up her 200th ODI wicket when she dismissed South Africa's Laura Woolvardt during India Women's tour of South Africa in February 2018. In doing so, she also became the first woman to reach 200 wickets in the 50-over game. In May 2017, Goswami had surpassed Australia's Cathryn Fitzpatrick's tally of 180 wickets to become the leading wicket-taker in the women's ODI game. The right-arm fast bowler from West Bengal was also awarded the ICC Women's Player of Year award in 2007.